Durable, cozy, or both? No matter the demands of your household, we've got a solid-color body fabric that works for you. Come into the store to see and touch the cover options in person before you make your final decision on your custom recliner covering. Hand-picked by you, custom made for you. 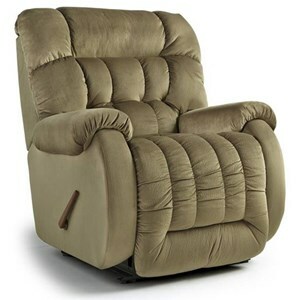 Extra-large Beast recliners are able to withstand 400 lbs of everyday use. 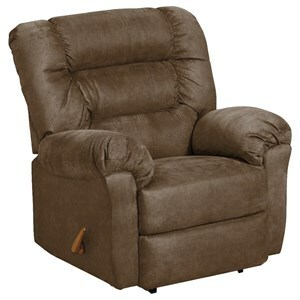 The Beast recliner features heavy-duty, 7-gauge steel mechanisms and a double-dowelled hardwood frame. Double lumbar springs provide extra support where it is needed most, and the seat backs are extra tall. 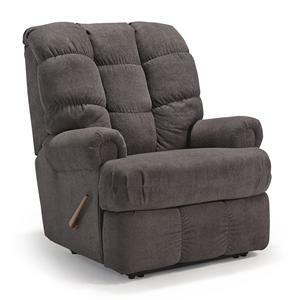 The extra durable Beast recliner features an extended padded chaise, heavy duty frame & 7 gauge steel mechanism tested to withstand over 400 pounds of everyday use. The seat depth & height is lower than the larger Beast for more custom fit. 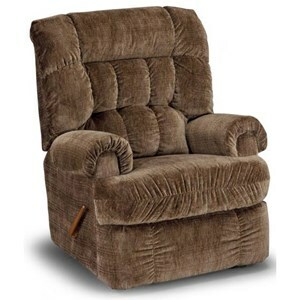 Choose the fabric or leather that upholsters this recliner, as well as opt for the choice of wall saver recliner, lift recliner, or rocker recliner to fully customize for your lifestyle. The The Beast Roscoe Rocker Recliner by Studio 47 at Morris Home in the Dayton, Cincinnati, Columbus, Ohio, Northern Kentucky area. Product availability may vary. Contact us for the most current availability on this product. Recliner Mechanism The heavy-duty 7-gauge all-steel mechanism is designed to withstand 350-400lbs of everyday use (will vary by model). 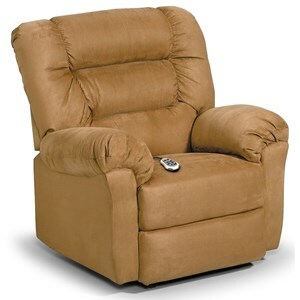 Every recliner features adjustable kick-out tension and is assembled and tested to assure smooth, reliable comfort. Frame Construction Each recliner is constructed of 1 1/8” hardwood seat frame joined together by six 2 1/2” lag bolts, doweled joints and glue. Padding & Ergonomics Cushions are constructed of 2.3 - 2.5 density premium HR foam for comfort you have to feel to believe. Seat Support Springs: 16 bar coils in the seat spring unit are heattempered for durability and long-life. A double lumbar spring design provides added support where it is needed most. The The Beast collection is a great option if you are looking for Casual furniture in the Dayton, Cincinnati, Columbus, Ohio, Northern Kentucky area. Browse other items in the The Beast collection from Morris Home in the Dayton, Cincinnati, Columbus, Ohio, Northern Kentucky area.